onSITE is a laboratory of both architecture and construction. The name onSITE is born from the idea that durable, timeless and culturally significant works of architecture emerge from an intimate understanding of people and place. At a time when globalization has drawn many architects to urban centers and has diluted our work to the production of ephemeral images – iconic sculptures that belong to everywhere and nowhere and which fade as quickly as they rise – onSITE has sought focus in serene places: taking the time to draw, to make models and even to build many of our projects with our own hands. onSITE is a critical practice, intentionally small, and accepting very few projects. For us, to be onSITE literally means to invest the time and energy to immerse ourselves in knowing the history and culture that we are working in. To be onSITE means to share the experience of designing with our clients and future users. To be onSITE means to take an active role in the realization of our projects. To be onSITE is to resist the global and the virtual in favor of the local and the real. Keith Zawistowski was born in New Jersey, USA and studied architecture at Virginia Tech. Marie Zawistowski was born in Paris, France and studied architecture at the Ecole d’Architecture Paris Malaquais. 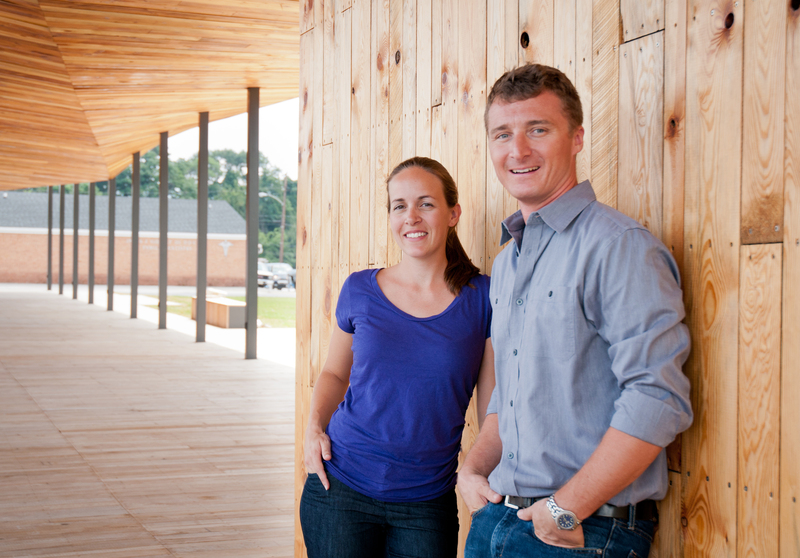 They met at Auburn University’s Rural Studio while working as students with architect Sambo Mockbee to design and build a charity house for Lucy Harris and her family. In 2005, they received a Graham Foundation Grant for “Traditions of Today and Tomorrow” their study of traditional building practices in Ghana, West Africa. 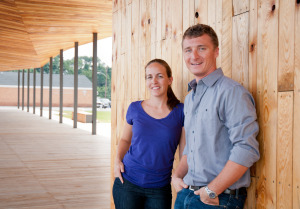 They have since married and established onSITE to continue their collaboration, making buildings, which are deeply rooted in the unique identity of people and place. Their work has received significant recognition, including the prestigious “Prix Françoise Abella” from the French Beaux Arts Academy and the “AJAP” young architects award from the French Minister of Culture. The Virginia Society of the American Institute of Architects recently recognized Keith with the Award for Distinguished Achievement and Marie with Society Honors “for their extraordinary joint efforts to advance the art and science of architecture” and Public Interest Design listed them among “the top 100 individuals and teams working at the intersection of design and service”. Marie and Keith also share a passion for teaching. They are currently tenured faculty at the national architecture school in Grenoble, France. Their Professional Practice course “Designing Practice” has received the National Council of Architectural Registration Boards’ Grand Prize for the Creative Integration of Practice and Education in the Academy, and the designbuildLAB which they co-founded was recognized by the Association of Collegiate Schools of Architecture with their inaugural Design/Build Education Award for “best practices in design/build education”.